Dark spots or Hyperpigmentation on the skin can appear at any age between 20 to 40 but even later than that. There can be different reasons for their appearance with the most common being exposure to the UV rays. In my case, it first appeared on the skin area above my upper lip and some years later in the form of small brown spots on the hand. If I leave them untreated, they become more as well as bigger in size. In this case, keep in mind that the sooner you try to remove dark spots, the better, so prevention can prove very helpful here. So, before giving you an idea about some effective natural ways to get rid of your dark spots including what I am using, let´s get to know some more information about dark or else called brown spots. What Causes Dark Spots on the Face and Skin? I don’t know if you have noticed but it seems that nowadays more and more people complain about getting dark spots on their skin compared to the past, so why is this happening? The Sun rays have obviously become more dangerous and although we are now more conscious about its damaging effects to our skin, the years that have passed with prolonged exposure to the Sun have already done some skin damage. Apart from the UV rays that are thought to be the number one suspect for brown spots and other environmental threats, other factors also play their role such as contraceptive pills or other types of medicine, but also stress, bad diet and irritating skincare products can accelerate inflammation and therefore make our body and skin vulnerable to damage such as hyperpigmentation. Dermatologists recommend that you should wear sunscreen even in the Winter so imagine how important it is to use it in the Summer. Due to the fact that these spots can highly be triggered by Sun, it is no wonder why they are also called sun spots. Sensitive types of skin are also more in danger of pigmentation problems, so they need further care including effective but not irritating for the skin Sun care. Therefore, if you want to prevent brown spots, then you should start taking care of your skin at a young age, have a balanced diet and a healthy way of living. You might have heard that Hydroquinone has been an effective hyperpigmentation treatment for many years now. This is a whitening agent that is produced synthetically. It has been accused for irritating effects and has been proven to be toxic when used in high concentrations, that´s why it has been banned in OTC Cosmetic Products in Europe. So, if you are looking for some natural ingredients to prevent and get rid of dark spots on your skin, here´s a list of good ingredients to look for in skincare products. I have included Vitamin C first in my list because this is what I have been using for my hand dark spots but also face with good results. In specific, I use a vitamin C serum both on my hands and face, which although takes some time to make them totally disappear (the improvement is a bit slow), it is effective. You also need to keep in mind that the results can differentiate according to each case. For example, it is obvious that it will take more time for bigger sized spots or darker in colour to become less visible. In my case, the dark spots were small but visible, and for some period of maybe two weeks of not regular use, I had seen little change, but after that period, I was surprised to see them almost disappear. Then, my mistake was that I stopped using the serum because I went on holidays, so they reappeared. 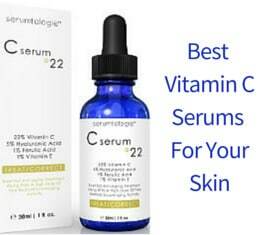 Vitamin C serums take a bit of time but if they contain an adequate amount of Vitamin C and you keep on using them every day, you will see some results. For more information, you can read our article on some top reviewed vitamin C serums, the serum I have been using is the OZ Naturals Vitamin C Serum. Due to their ability to exfoliate effectively and accelerate new skin cells production, Alpha Hydroxy Acids (AHAs) contribute to the removal of the accumulated melanin from the surface of the skin, and when they are combined with whitening or brightening serums, they promote their deeper penetration into the skin and therefore make the latter more effective. For a best awarded organic AHA mask specialized for sensitive skin, you can have a look at our Pai AHA Mask Review. Licorice contains an acid that protects the skin from the excessive accumulation of melanin and therefore the creation of brown spots. Fruits and vegetables contains enzymes that have exfoliating and brightening effects. 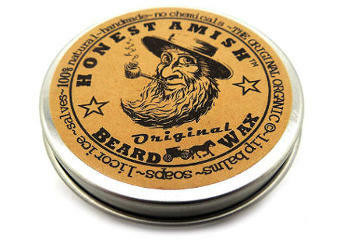 That´s why they are so popular in DIY skincare masks and exfoliating scrubs. But also in the skincare products that we buy, fruit enzymes are widely used to faint dark spots and make skin bright. The second most effective ingredient after Hydroquinone deriving from various species of mushrooms is Kojic Acid. It is able to disrupt melanin and prevent its production. 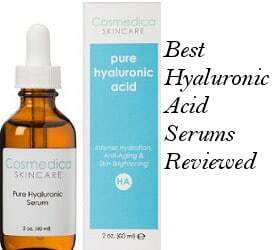 For a good quality Kojic and Hyaluronic Acid Serum, you can read our HYKO Brightening Serum Review. Retinol is probably the most popular anti aging ingredient in the skincare industry but did you know that it is also effective in the treatment of hyperpigmentation? With the ability it has to accelerate skin cells renewal, it stops dark spots at their early stage of forming and prevents them from developing. For carefully selected Retinol products, you can read our best Retinol Creams article as well as our article on Retinol Serums and Retinol Creams for Cellulite. The extract of Soy can be used as a mild whitening ingredient that protects the skin from discolorations. You can often find it combined with Kojic Acid and AHAs. Arbutin is an alternative mild and non toxic form of Hydroquinone which can be found in pear juice as well as the leaf extracts of raspberries and arbutus. It is said to reduce melanin production. In conclusion, if you are looking for natural ways to get rid of dark spots on your skin, I hope that the above information can help you deal with hyperpigmentation in a safe and effective way.